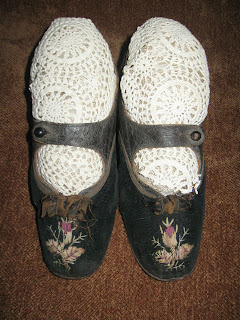 For your bidding consideration today, we have a pair of antique Victorian velvet and leather side button shoes. 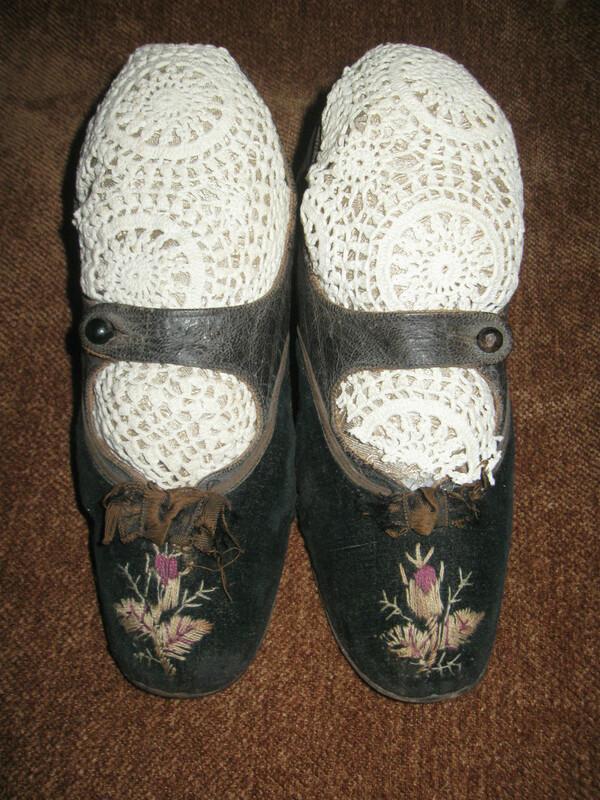 The front of the shoes is black velvet with embroidery at the toe, and a small ribbon bow. 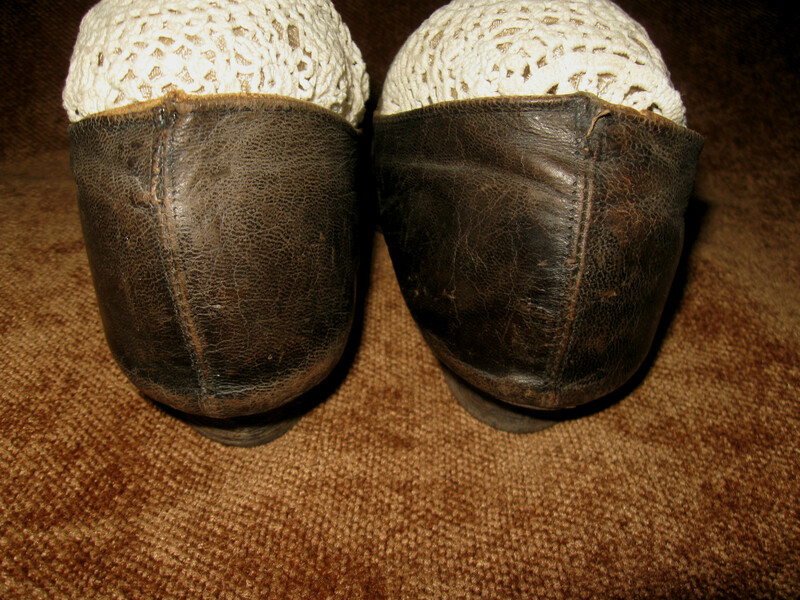 Te backs of the shoes are leather, as well as the strap. 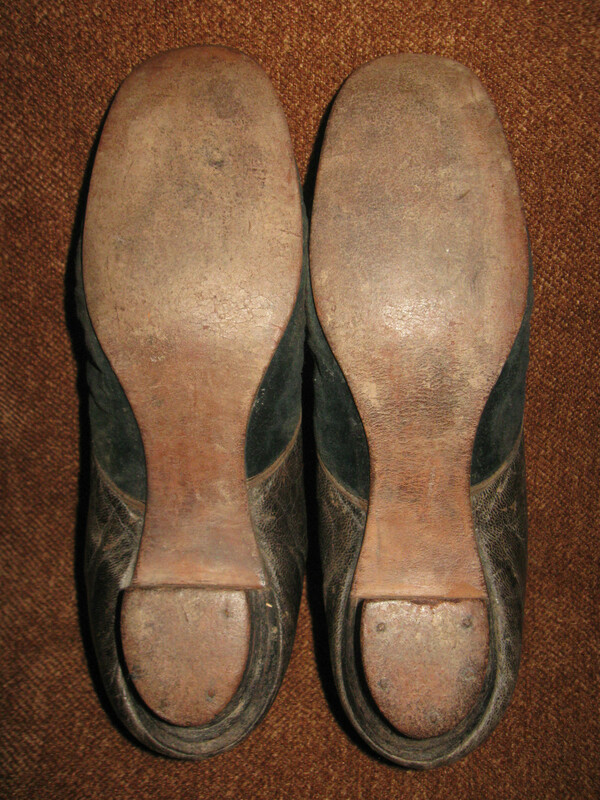 The heel is stacked and the soles are straight soles with no left or right swing. 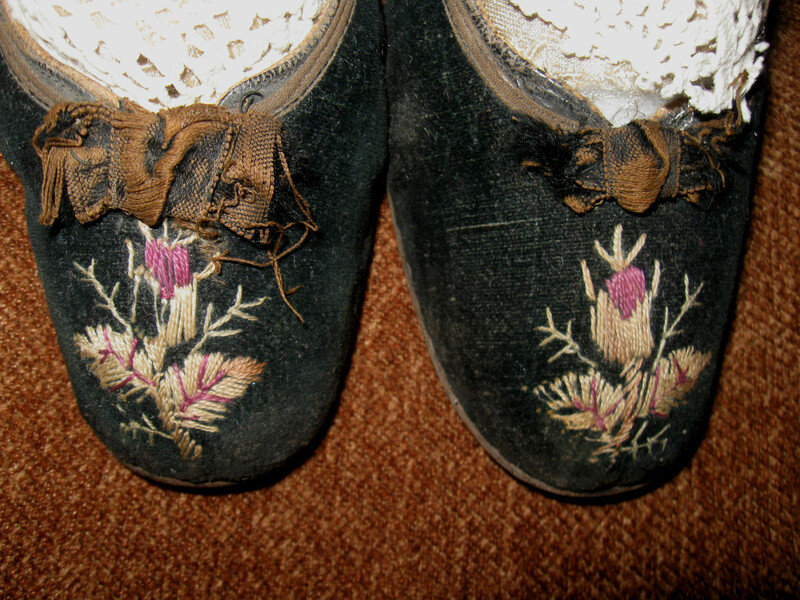 They are in nice vintage condition with age appropriate wear. As with all shoes of the era, these do not have a size in them, so please do not ask me to guess what size they are, I don't know, and I don't want to guess, so I have provided the following measurements so that you may decide if these would work for you. 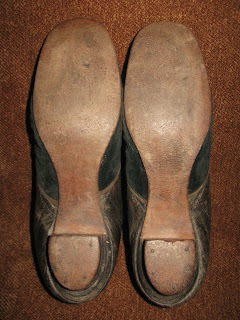 When placed up against a wall, and measured from the outside, where the heel of your foot would sit, to the tip of the toe, they measure 9 1/4 inches long, and the width of the sole at the widest part is a little less than 2 3/4 inches . Please do not ask me to remove the stuffing to get an interior measurement. 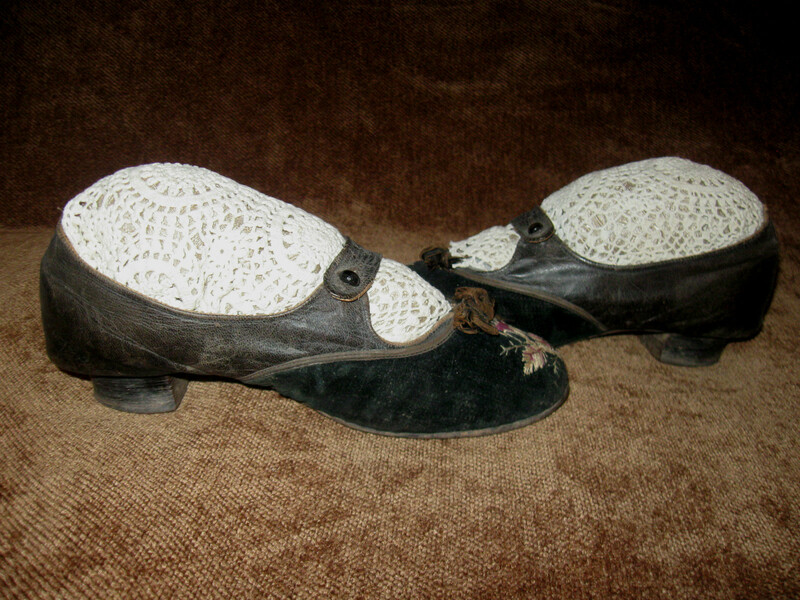 The shoes have been stuffed for years, and I do not want to remove it. The awkardness of the heel placement, and particularly the button/strap placement, makes me think these are in the 1840's/1850's time frame. 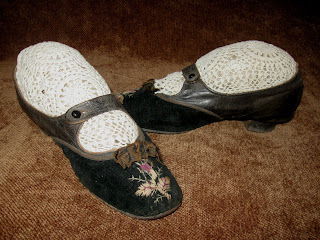 The heel was just being rediscovered in the 1840's. The straight lasts also suggest an earlier date although they were used throughout the 19th C.